Learn how to make fried chicken the Korean way in this immersive cooking class! The class was more than just about cooking. Dave was waiting at the subway exit holding a "OME Cooking Lab" sign to meet us. He took us around Gyeongdong Market. The market was an old school marketplace with stands filled with lots of produce, fish, meats, traditional side dishes, and much more. Dave took us on a tour explaining the different foods and the history of Korean food and the market. After the tour, we went to the "Lab," where Chef Minseon was waiting to teach us. She was patient in teaching us how to cook each dish step by step. She explained how up chop each ingredient to the correct size, how much water to use for the pancakes, explained the purpose of the different ingredients. There was a lot of care taken into the instruction. After all the cooking, we got to enjoy all the delicious food. You get the recipes for the dishes in case you can't remember all the steps which is awesome. It was an amazing experience learning how to cook some dishes I really enjoy eating. 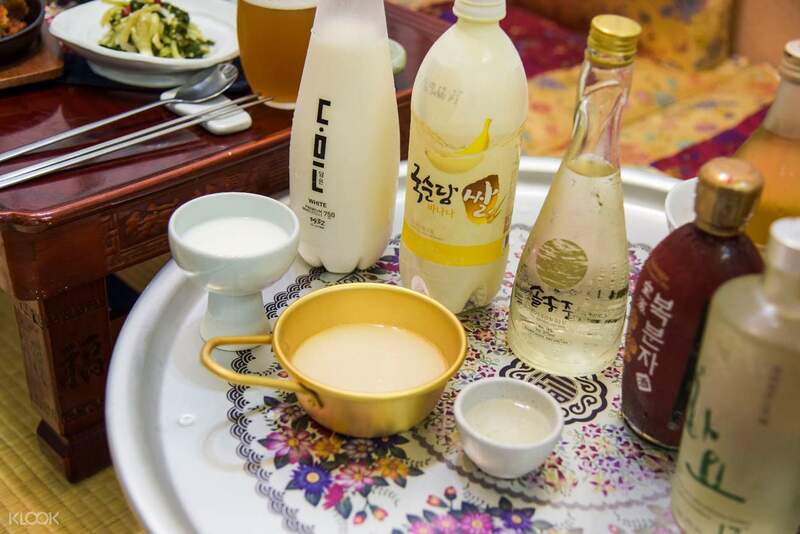 Enjoy a cooking class with an expert Korean chef who'll teach you how to make a "chi-maek" (chicken and beer) meal. 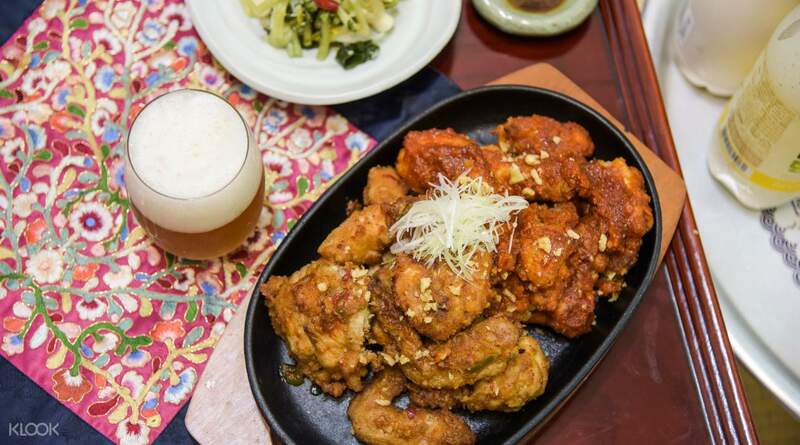 Chi-maek is popular amongst Koreans and fried chicken is the ideal food to pair with beer. 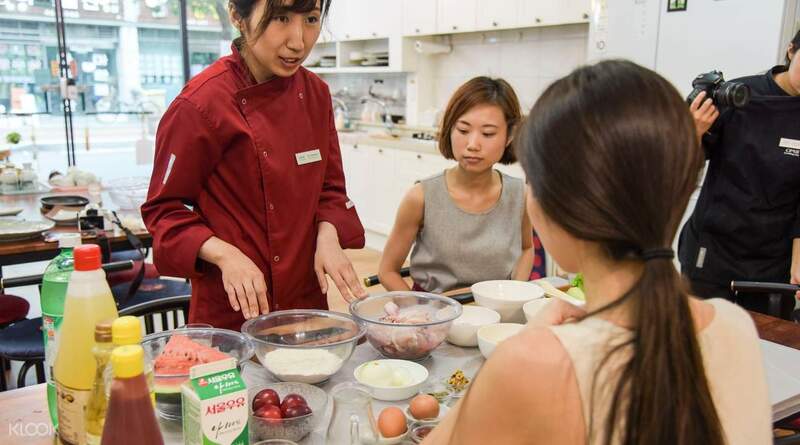 In this cooking class, you'll be meeting up with your chef and fellow participants before heading to a traditional Korean market to pick out all the ingredients you need. 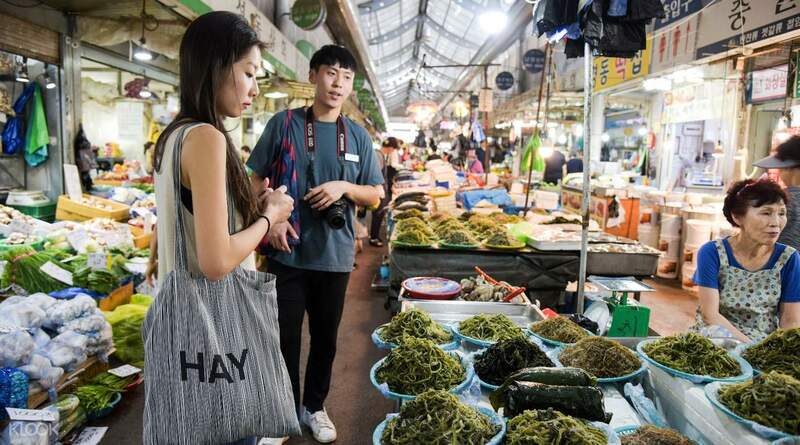 Learn about market and food culture while on the go before returning to the kitchen to actually make your Korean fried chicken meal. By the end, you'll get to eat your own creations and pair your meal up with a cold glass of beer. If you love food and eating and wish to learn more about Korean cuisine, this is the class for you! 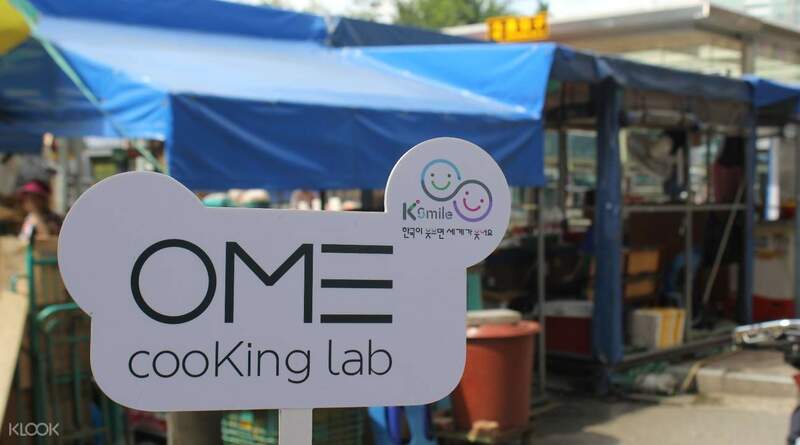 You're in good hands with the experienced staff and chefs of OME Cooking Lab! The class was more than just about cooking. Dave was waiting at the subway exit holding a "OME Cooking Lab" sign to meet us. He took us around Gyeongdong Market. The market was an old school marketplace with stands filled with lots of produce, fish, meats, traditional side dishes, and much more. Dave took us on a tour explaining the different foods and the history of Korean food and the market. After the tour, we went to the "Lab," where Chef Minseon was waiting to teach us. She was patient in teaching us how to cook each dish step by step. She explained how up chop each ingredient to the correct size, how much water to use for the pancakes, explained the purpose of the different ingredients. There was a lot of care taken into the instruction. After all the cooking, we got to enjoy all the delicious food. You get the recipes for the dishes in case you can't remember all the steps which is awesome. It was an amazing experience learning how to cook some dishes I really enjoy eating. The class was more than just about cooking. Dave was waiting at the subway exit holding a "OME Cooking Lab" sign to meet us. He took us around Gyeongdong Market. The market was an old school marketplace with stands filled with lots of produce, fish, meats, traditional side dishes, and much more. Dave took us on a tour explaining the different foods and the history of Korean food and the market. After the tour, we went to the "Lab," where Chef Minseon was waiting to teach us. She was patient in teaching us how to cook each dish step by step. She explained how up chop each ingredient to the correct size, how much water to use for the pancakes, explained the purpose of the different ingredients. There was a lot of care taken into the instruction. After all the cooking, we got to enjoy all the delicious food. You get the recipes for the dishes in case you can't remember all the steps which is awesome. It was an amazing experience learning how to cook some dishes I really enjoy eating. Jihee was so nice and friendly to show around the traditional market and give out clear directions in cooking class process. Time control was perfect. Food might not suits everybody’s taste but it worth to try! Definitely recommend if you wanna know about the secret in delicious Korean food! Jihee was so nice and friendly to show around the traditional market and give out clear directions in cooking class process. Time control was perfect. Food might not suits everybody’s taste but it worth to try! Definitely recommend if you wanna know about the secret in delicious Korean food!